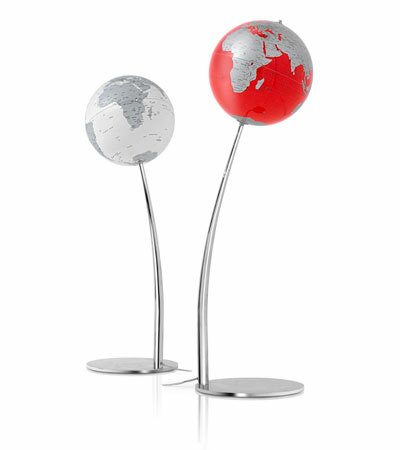 The Stem is available in both "Reflection" and red ocean colour schemes, both of which are illuminated. The metal stand is finished in chrome for a striking appearance. The globe is illuminated using a discrete foot operated switch.